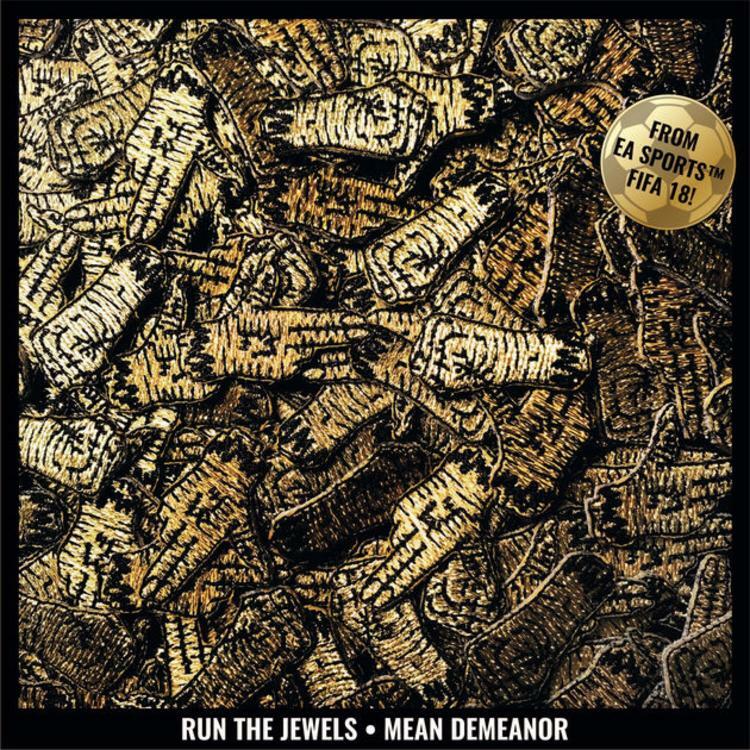 Jamie and Mike, better known to hip-hop fans as Run The Jewels, have come through with a new track called "Mean Demeanor." The track was originally premiered in a wild advertisement for the upcoming FIFA 18 video games, but the frantic nature of the trailer constantly interrupted the flow. You can check out the video below for a decent preview of the track, but be warned, the murderous bars of Killer Mike and El-P will be frequently disrupted by the sounds of a simulated soccer match. However, the official version of the track has surfaced in select international markets, which means a North American midnight drop is incoming. While the track doesn't exactly capture the magic of peak Run The Jewels, it remains a strong effort from one of hip-hop's more consistently dope duos. The track features many of El-P's production staples, including a distorted synths, loud percussion and absolutely wild DJ scratches. By now, we know what Mike and El are capable on the mic, and both rappers seem at ease over the instrumental. Admittedly, it does somewhat feel like they're revisiting familiar territory, and "Mean Demeanor" lacks some of the innovation of RTJ album cuts. Still, it's a new single from Run The Jewels, and to be honest, that's never a bad thing. Check out the bulk of the track in the preview below, and stay tuned for the official drop tonight. In other RTJ news, El-P recently applied to score the upcoming Blade Runner film, starring Ryan Gosling and Harrison Ford. El-Producto was considered, but ultimately turned down. In spite of that, it's still cool to see that the once underground producer has elevated himself to new, ambitious heights. Their work with the FIFA series marks the second video game Run The Jewels have collaborated with. The duo have previously appeared as playable characters in Gears Of War 4, so if you ever wanted to murder aliens as Killer Mike and El-P, then what the hell are you waiting for? Go shout it to the gods "R T J has arrived"
Isaiah Rashad Spits Freestyle Over Tay-K's "The Race"